New Delhi : Prime Minister Narendra Modi on Sunday extended greetings on Gurpurab or the birth anniversary of 10th Sikh Guru Gobind Singh on December 25. "As we mark the 350th Prakash Parv, I bow to the venerable Guru Gobind Singh ji. He was an embodiment of exceptional courage and immense wisdom. His brave deeds and noble thoughts inspire people across generations," Modi said in a tweet. In another tweet, he said: "Guru Gobind Singh ji believed in the power of equality. He opposed all forms of social discrimination and was revered for his sense of justice as well as honesty." The Bihar government had organised the inaugural programme to celebrate the 350th birth anniversary or Prakash Utsav at Takht Sri Harmandir Ji Patna Sahib, the birthplace of Guru Gobind Singh, near the state capital on a grand scale from January 3 to 5, which was attended by Modi apart from hundreds of thousands of Sikhs from different Indian states and abroad. Sri Guru Gobind Singh Ji believed in the power of equality. He opposed all forms of social discrimination and was revered for his sense of justice as well as honesty. Modi also congratulated Bihar Chief Minister Nitish Kumar. 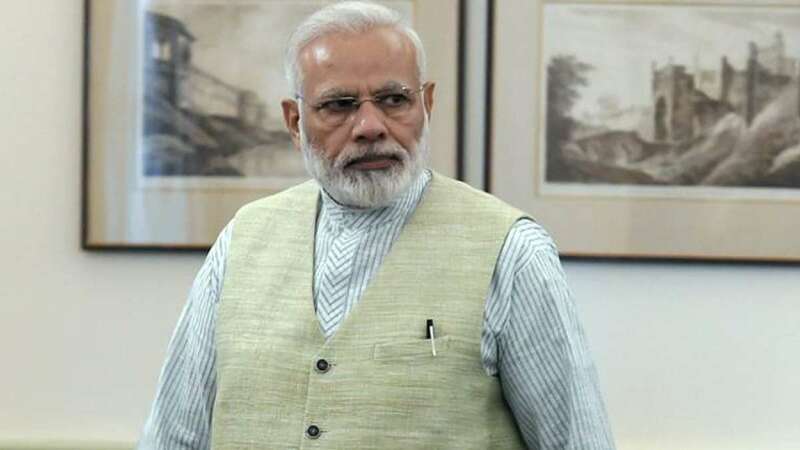 "I congratulate CM Nitish Kumar ji and the Bihar government for the wonderful arrangements for Guru Gobind Singh ji's 350th birth anniversary celebrations at Takht Patna Sahib ji," Modi tweeted. I congratulate CM @NitishKumar Ji and the Bihar Government for the wonderful arrangements for Sri Guru Gobind Singh Ji's 350th birth anniversary celebrations at Takht Sri Patna Sahib Ji. Guru Gobind Singh was born on December 22, 1666, to ninth Sikh master, Guru Tegh Bahadur and Mata Gujri. He was annointed the supreme leader of the Sikhs at the age of nine, becoming the last of the living Sikh gurus. The Akal Takht this year decided to celebrate the Gurpurab on December 25 as per the Bikrami calendar.